(Agence France-Presse at NDTV) – PIRACICABA – Scientists in Brazil are preparing to release millions of factory-bred mosquitoes in an attempt to wipe out tropical diseases such as Zika, dengue and yellow fever. British firm Oxitec says its genetically modified mosquitoes will swarm in among ordinary species such as Aedes aegypti, the insect that carries these diseases. The test tube mosquitoes method is to mate and then die, spawning babies with a genetically inbuilt flaw that causes them to die quickly. Oxitec says its factory in the town of Piracicaba, northwest of Sao Paulo, can produce 60 million mutant mosquitoes a week. According to the firm, five field tests that they conducted between 2011 and 2014 – in Panama and the Cayman Islands, as well as the northeastern Brazilian state of Bahia – showed the population of wild Aedes aegypti insects dropped by 90 percent after the mutant mosquitoes were released. Oxitec does not yet have a sales permit from Brazil’s Anvisa health department, and there are no epidemiological studies showing whether mosquito-carried diseases drop after the factory-bred insects are released. This has not stopped the mayor of Piracicaba from signing a four-year, $1.1 million deal with Oxitec. In its first wave, the company will release 10 million factory-bred mosquitos each week into this city of 360,000 people. The need for insect control is pressing, as the summer in the southern hemisphere approaches and the mosquito population – and cases of the diseases that they carry – is likely to boom. Oxitec biologist Karla Tepedino dismisses environmentalists’ concerns about the lack of long-term impact studies. 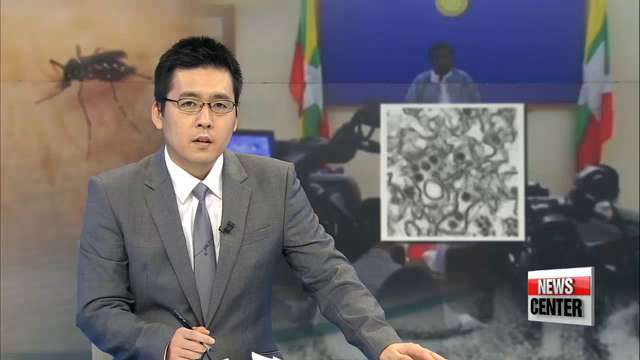 “There are three essential factors for the transmission of these diseases: the mosquitoes, the virus and humans. 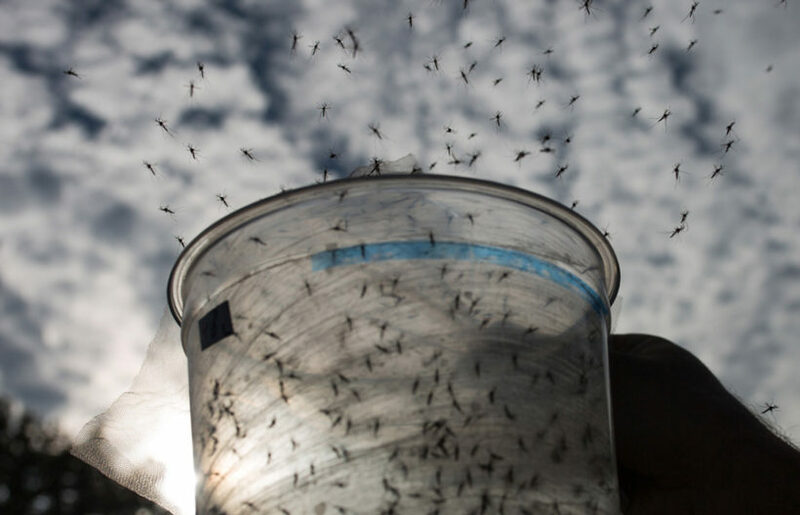 What we do here is eliminate the mosquitoes, which transmit the virus,” Tepedino told AFP. “Eliminating the vector, we eliminate the disease,” she said. The Aedes aegypti mosquito is well-adapted to city life as it can breed in even tiny amounts of water, such as a puddle of rainwater or water pooled in flowerpots. Experts have pointed to poor sanitation and the practice of storing open water containers in poor neighborhoods as contributing factors in the explosive growth of the mosquito population. Separately, Rio de Janeiro authorities are attempting to control their mosquito population by releasing insects inoculated with the Wolbachia bacteria, which makes them resistant to Zika, dengue and other viruses. 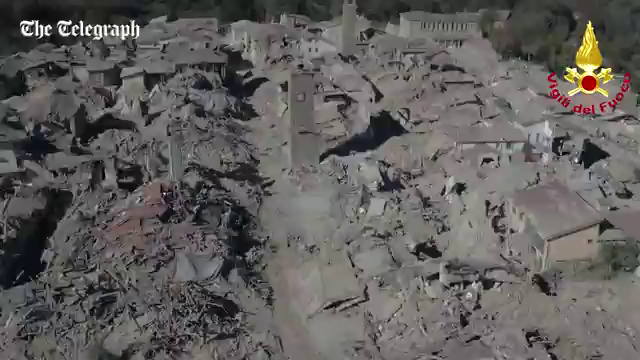 (Los Angeles Times) – A major earthquake measuring 6.6 struck central Italy on Sunday morning, destroying a 14th century basilica built on the birthplace of St. Benedict and bringing down scores of buildings, days after two other shocks left thousands homeless. About 20 people were injured, none fatally, when the quake struck at 7:40 a.m., three miles from the ancient town of Norcia in the Umbria region, according to Italian Prime Minister Matteo Renzi. Lives were likely saved because 1,300 people in the region had been moved to makeshift accommodations after their homes were damaged by two previous shocks Wednesday in the Umbria and Marche regions. 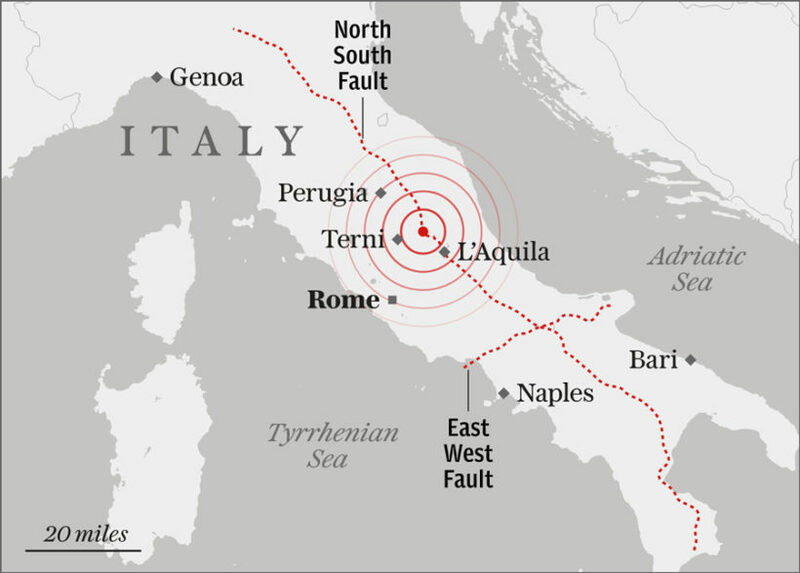 Sunday’s quake was the strongest in seismically active Italy in 36 years, since a quake near Naples killed 3,000 in 1980. 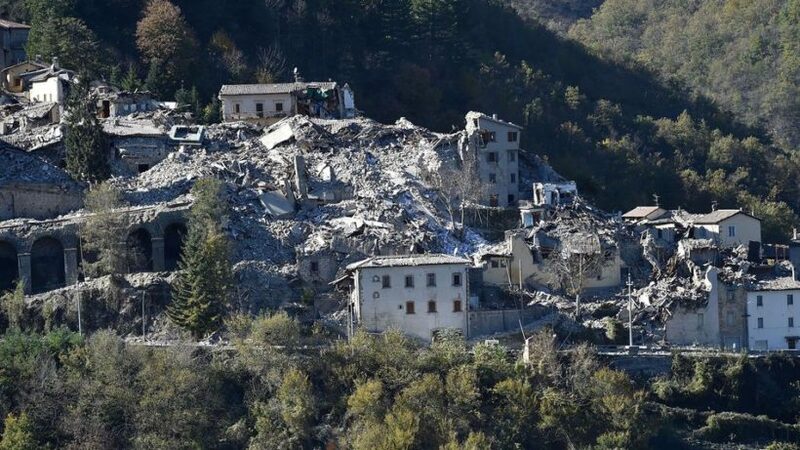 The Sunday temblor was linked by experts to a 6.1 quake on Aug. 24, which killed 298 and leveled the towns of Amatrice and Accumoli in the nearby region of Lazio. “From the 10,000 people now needing assistance, we risk arriving at 100,000,” said Luca Cerisoli, the governor of the Marche region, on Italy’s Adriatic coast, after Sunday’s quake. 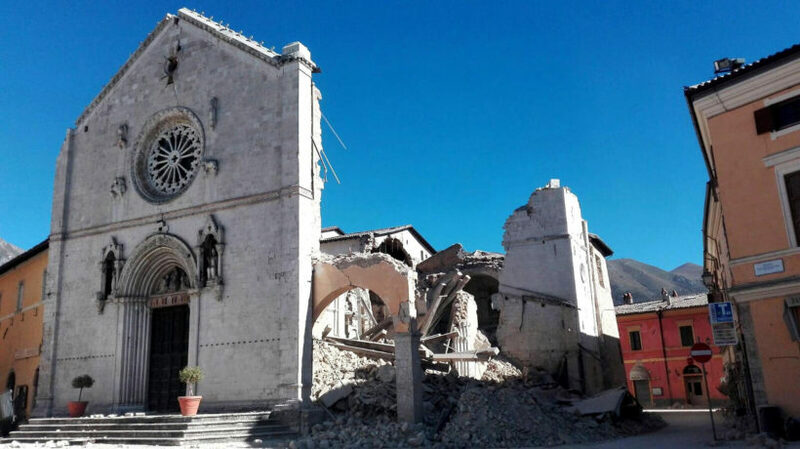 In Norcia, monks prayed amid ruins, and weeping nuns were escorted to safety by firefighters after the collapse of the 14th century basilica of St. Benedict — the founder of the Benedictine order of monks — leaving only its facade standing. “People are trapped in the main square, as nearby buildings may collapse. Trucks are coming to clear a path to safety,” the monks tweeted. Damaged buildings in Arquata del Tronto following a massive earthquake on Oct. 30, 2016. Felt as far away as Slovenia and Croatia, the quake brought down buildings in Italian towns partly evacuated after last Wednesday’s temblor. “Everything’s collapsed. I see plumes of smoke, it’s a disaster,” said Marco Rinaldi, the mayor of Ussita in the Marche region, which was damaged during the week. In Castelsantangelo sul Nera, another town damaged Wednesday, more buildings collapsed and huge cracks appeared in nearby mountainsides. “At the cemetery, the shocks have split open tombs and the coffins have been thrown out. It’s indescribable and people cannot take it anymore,” said Mayor Mauro Falcucci. About 60% of the buildings in Castelluccio, a picture postcard village near Norcia that is popular with hikers, reportedly collapsed in Sunday’s quake. In L’Aquila, where an earthquake in 2009 killed 300, a building yet to be repaired collapsed on Sunday. The shock was felt strongly in the Italian capital, Rome, where residents poured onto the streets in panic as beds shook and items tumbled from shelves. (BBC News) – Australia has unveiled tough new plans to bar any asylum seekers who try to reach the country by boat from ever being able to enter. The lifetime ban on visas would apply even to those traveling as tourists, for business, or who married an Australian. Australia transports asylum seekers who arrive by boat to off-shore processing centers in Nauru and Papua New Guinea’s Manus Island. The new legislation would apply to all those sent to Nauru and Manus from July 19, 2013, including those who have returned home, and anyone who arrives in the future. Children, however, would be exempt. 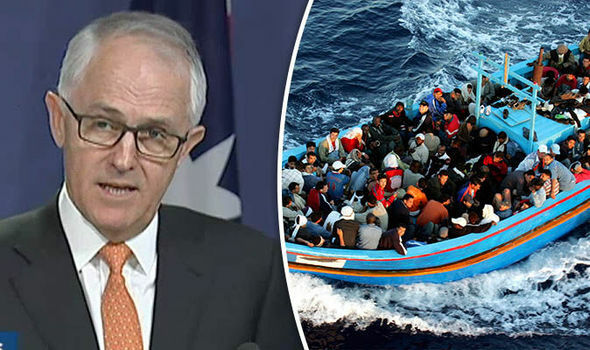 “This is a battle of will between the Australian people, represented by its government, and the criminal gangs of people-smugglers,” Prime Minister Turnbull said. 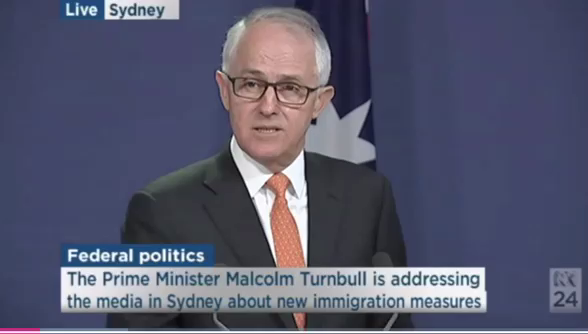 PM Turnbull said Australia needed to send a clear message to people smugglers. Australia has been repeatedly criticized for its tough policy on refugees and asylum seekers. b) What did field tests conducted between 2011-2014 show about the effectiveness of the genetically modified mosquitoes? c) How effective have the genetically modified mosquitoes been in reducing the number of people who contract these diseases from mosquito bites? d) In addition to Oxitec’s mosquitoes, separately, Rio de Janeiro authorities are attempting to control their mosquito population by releasing insects inoculated with the Wolbachia bacteria, which makes them resistant to Zika, dengue and other viruses. Do you think these are good solutions to eradicate the disease carrying mosquitoes? Explain your answer. e) Can you think of any unintended consequences to these two solutions? Explain your answer. b) Why do officials believe lives were saved when this strongest quake hit on Sunday? c) Re-read the last two paragraphs of the Italy article. How would you try to encourage Mr. Altavilla, who is understandably discouraged? d) Read the “Background” on Italy. Do you think the Italian government should quake-proof all buildings as experts suggest, or just rebuild any area after an earthquake destroys it? (Do you think your answer would be the same if you lived in one of the quake-prone areas?) Explain your answer. b) Who is the government opposing with this legislation? c) Prime Minister Turnbull is the leader of the Liberal Party (which is actually conservative). The Liberal Party has taken a hard line on immigration policy and said the new legislation is needed to deter people smugglers who attempt to sneak people into Australia from Indonesia at an extreme cost to the individuals. The Australian government has said thousands of people have died trying to make the dangerous trip from Indonesia to Australia in boats that frequently are not safe. In 2013, the government turned the matter of tracking potential refugee and asylum-seeking ships over to the military, which now has the responsibility of turning the boats and their passengers away. What do you think of this policy? Do you think it will be effective in deterring people from attempting to get to Australia illegally? Would you support or oppose this type of law in the U.S.? Explain your answer. d) Watch the video under “Resources” below. Do you agree with Prime Minister Turnbull’s assertions about controlling the border in Australia? Explain your answer. Last Thursday, after twin quakes that reduced villages in the Apennines to rubble and left thousands homeless, Italians said the government needed to spend more money on quake-proofing buildings, rather than on other non-essential projects such as the recently-revived idea of building a suspension bridge across the Strait of Messina to connect the mainland to Sicily. Matteo Renzi, the prime minister, had revived the proposal last month, promising that it would create tens of thousands of jobs, but there are fears that it would cost billions of pounds and that funds would be siphoned off by mafia organizations on both sides of the water – Cosa Nostra in Sicily and the ‘Ndrangheta in Calabria. He called for 20 billion euros to be made available to quake-proof vulnerable buildings. Some Italians also complained of the huge amounts of money being spent on rescuing migrants in the Mediterranean, as thousands continue to arrive in rubber dinghies and barely seaworthy wooden boats from the coast of Libya. The funds should instead be spent on quake-proofing Italy’s most seismically-prone areas, they said. Geologists said that Italy was such a seismically-active country that the only option was to learn to live with the threat by strengthening buildings as much as possible with proven anti-quake measures. “The seismic risk has been underestimated, when we should have learnt to live with it. The only thing that can be done is to build safer homes,” said Paolo Messina, director of the Institute of Geology at the National Research Center. “When you buy a car, you make sure that it has air bags and good brakes. But when people build or restore houses, they often prefer to save money rather than ensure that they are safe (against earthquakes),” he said. The area of Italy most at risk is the Apennine chain of mountains and surrounding valleys, where there are thousands of towns and villages consisting of centuries-old houses, churches, convents, towers, castles and monasteries. Making all of them quake-proof would be a monumental, astronomically expensive task, but it is the only choice, experts said. “We run the risk of having to spend even more money if we don’t do that. Building houses that can withstand quakes is the only weapon in our armoury,” said Prof Messina. There have been more than 340 aftershocks since the twin quakes struck last Wednesday, according to the National Institute of Geophysics. The number of asylum seekers traveling to Australia by boat rose sharply in 2012 and early 2013. Scores of people have died making the journey. Everyone who arrives is detained. 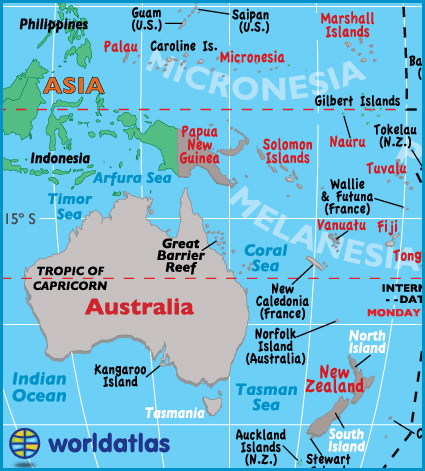 Under the policy, asylum seekers are processed offshore at centers on Nauru and Manus Island in Papua New Guinea.